Washington, D.C. earns so much attention for reasons outside of travel. But visitors and locals will tell you that the nation’s capitol is much more than just a political center. There are so many things to do and see here, but sometimes you have to search around. This Washington DC city guide will do the work for you and let you focus on more important things, like booking hotels. Washington D.C. isn’t just where the politicians live. This is a tourist-friendly city in every way imaginable. The city is perfect if you want to see some of the world’s best museums, food, and entertainment all in one city. After walking around, you’ll understand just why it became the nation’s capital. D.C. will capture your imagination and have you thinking that just one trip isn’t enough. With comfort in mind, the best times to visit are in spring and fall. Both times are great because of mild weather but in spring, the cherry blossoms come out and transform Washington into a flower-lover’s paradise. The crowds also coincide with hotel rates going up, along with everything else. Visit during the end of June before the summer heat or in late November and you’ll experience the city without the massive crowds or extreme weather. To get started, first-time visitors should spend time around the National Mall, which is technically part of the National Parks Service. 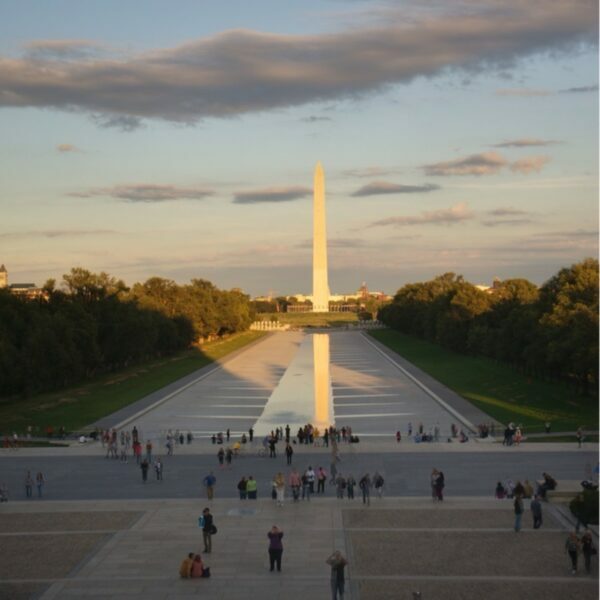 Here you’ll find everything between the Washington Monument and the Lincoln Memorial, with so many of the best museums and historical buildings along the way. The Smithsonian will blow you away with a spectacular collection of too many museums to name. Be sure to visit the Capitol Building and the White House. Nearby, you can see the Supreme Court to complete a tour of all three branches of government. There’s plenty more to see away from the National Mall, and you can start with Georgetown. One of D.C.’s more iconic neighborhoods, enjoy some of the city’s best shopping and eating. Another D.C. hotspot is around Chinatown, where foodies and entertainment lovers can find solace. Chinatown’s best eateries are on 7th St. and the Verizon Center has just about any event worth seeing in Washington. There are other options, including D.C.’s unknowns that I’ve also written about here. Get around the city using goDCgo and you won’t need a guide. D.C. might be the nation’s capitol but after spending some time here, it truly feels more like a small town than a metropolis. Sure there are tons of markers that remind you it’s a big city, but Washington has many things other cities just can’t offer. Green spaces are everywhere, but even in the more crowded patches of concrete, it’s generally cleaner than most other places you’ll ever visit. So now that you have this guide, go ahead and book your flight to Washington. The Nation’s Capital is waiting to welcome you!